In the age of digital photographs, sometimes it's easier to create your scrapbook pages on a computer or online, and print them out readymade. It's also possible to create your own scrapbook papers and patterns using any one of the countless free printable papers on the market today. Regardless of why you may need inkjet safe scrapbooking paper, there are several options available for you to use, available in a wide variety of sizes, colors, and patterns. These four papers can hold up to an inkjet printer, and still look great in your scrapbook. UltraPro 12x12 Satin Photo inkjet paper is perfectly sized for use in most scrapbooks. It has an acid free base, and is completely lignin free as well. It's fast dry surface ensures your prints won't smudge or smear, while water resistance helps keep your photos and pages safe long term. The coating on the paper is slightly acidic, in order to help the inks take hold. A ream of 50 pages runs around $38. If you like to layer and create multi-dimensional effects on your scrapbooking pages, consider using Extrav Organza Silk For inkjet Printing. This thin, translucent, silk-based paper is perfecting for layering text or images on top of photos or other scrapbook papers. The size of each sheet is 8.5 x 11, so they work with all printers, and there are five sheets to a package. Pricing starts around $13 for a 5-sheet pack. Epson Premiere Art Scrapbook Photo Matte inkjet Paper is a 12-inch, matte paper designed just for scrapbookers. This acid-free paper will keep your photos and pages safe, while the sharp printing quality and true color printing help ensure your pages look exactly the way you designed them. Each sheet is 12 millimeters thick, and there are 10 sheets to a package. Pricing starts under $15. 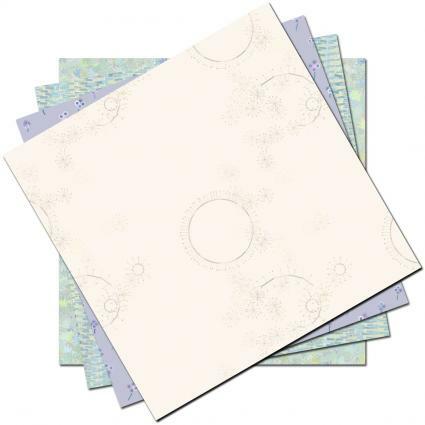 Add some shimmer and depth to your scrapbook pages with this metallic paper from Aspire Petallics. The pages have a metallic finish on both sides that is created from mica, so the pages have a unique, iridescent shimmer to them. The Snow Willow color is not pure white; it adds some shadow and tone to the pages. The paper has been tested with many inkjet printers and has been determined to be safe to use. Each page measures 12-inches and the paper comes in boxes of 50 pages. Pricing starts at $20. With inkjet scrapbook paper, it's possible to design and create custom digital scrapbooks that you can print out right at home. If you're more interested in traditional scrapbooking, these papers can still enhance your layouts. Try any of these specialty papers and start taking your scrapbooking to the next level.